Florida’s roofing industry is massive, encompassing contractors and speciality supply and service businesses throughout the state. In this industry, women make up a small percentage of the overall working population, but their contributions and leadership should not be underestimated. It is challenging to select the Top 10, so we’ve looked at leading companies and associations, as well as media reports and our own research to determine this list. We’ve also sought out women representing a diversity of occupations and communities within the state. Note that the names here aren’t ranked in order of achievement. We’ve listed them alphabetically. Claudia Abbona, based in Fort Lauderdale, is GAF Materials Corp.’s territory manager, low slope. She is also a director of the Roofing Contractors Association of South Florida. Vicky Byrne represents the Palm Beach County Roofing & Sheet Metal Contractors Association (PBCRSM) as the local association’s affiliate representative to the Florida Roofing and Sheet Metal Contractors Association, Inc., (FRSMCA), the state’s major roofing association. Tamara Chase oversees this family owned business’s operations, serving clients in the Greater Tampa Area, Orlando, and the South Florida Tri-County Area from its Fort Lauderdale corporate office. She took over the company’s operations in 2010, focusing on its core values, unique brand and culture. Wendy Harvest has been the RCASF’s executive director since 2011. She oversees the association’s administration and operations, and helps to co-ordinate its charitable and educational programs. Based in the Jacksonville area, Loretta Hartley is the NEFRSA’s affiliate director to the FRSMCA. Hartley, who started her roofing careers in the early 1980s, after being one of the first women in the Army Signal Corps. She has participated in relevant roofing and community associations for decades. Lisa Pate oversees as executive director this major association founded in 1922, which seeks to “foster and encourage a high standard of business ethics among its members and to inform the general public of the importance of doing business with competent and ethical firms.’ She works with the association’s board of directors, administers it website, office personnel, and is editor of Florida Roofing Magazine. 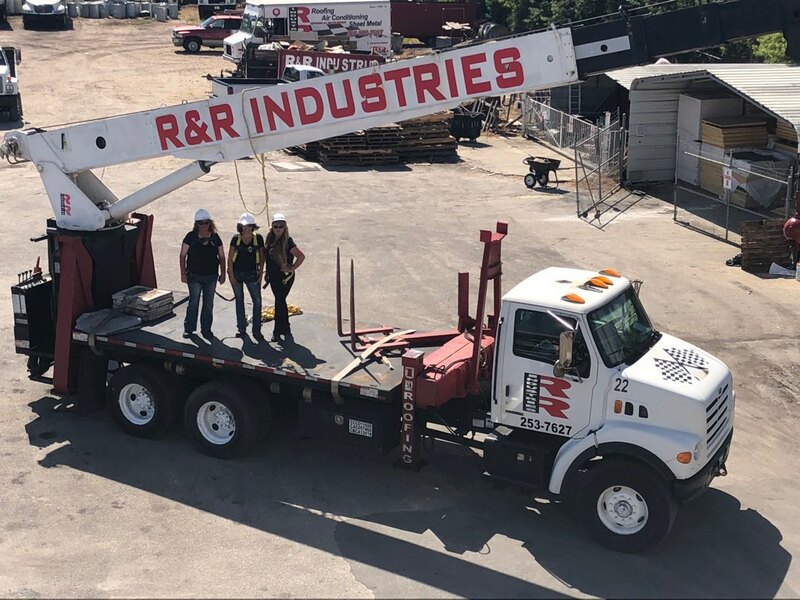 Compared to most individuals on this list, Angie Masini is relatively new to the industry, but in her time at R&R Industries she has reshaped the company’s operations and enhanced its collegiality and spirit. See separate story. Meghan Roth oversees the FRSMCA’s educational and research foundation, established in 1982 to serve the workforce, management and owners of construction businesses as well as other industry-related professionals. The foundation provides more than $232,000 in scholarships and adds new educational programming each year. Rhonda Rzeczka dons her safety gear and works on roofs for this Daytona-Beach area company every day. She enjoys the work and working with her husband. See separate story. Sherri Wilkie oversees purchasing, permit management, and equipment and materials deliveries for this successful contractor, routinely handling 70 or more projects in normal times, and upwards of 200 to 300 jobs during hurricane and storm recoveries. She says she thrives on the occupation’s diversity and challenges. See separate story.